Last week I was nominated for the Liebster Award by Jen at www.adventuroustraveltales.com (go and check out her blog, she has got some pretty great pictures! ), I remember seeing this when I first started my blog and thought it was such a great idea. 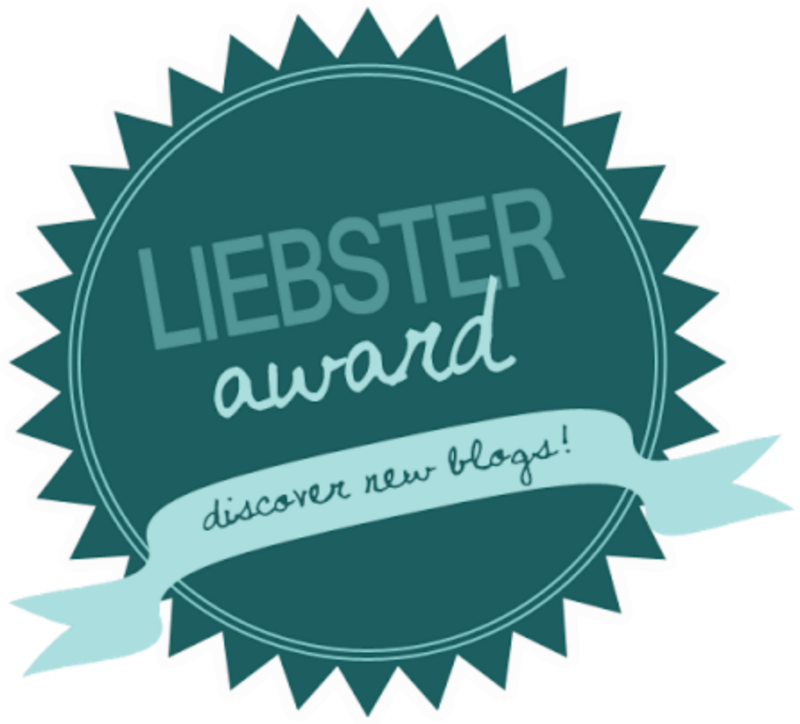 For those of you that don’t know what the Liebster Award is, it is a really cool way of getting new blogs out into the blogisphere and to get people connected. The rules are pretty straightforward, you link the person who nominated you into your post and answer the 11 questions that they gave you. Then you nominate 11 blogs with less than 200 followers and give them 11 new questions to answer. Let the new bloggers know that you have nominated them and the cycle continues. So, basically it is like a big chain letter. -What is your blog about? The idea behind my blog was originally to be a travel diary documenting my life as I moved to Europe; the places I visited, the food I ate, the people I met. The concept has evolved over time to feature more of my own recipes that are inspired by things I have eaten on my travels. -What is something that people would be surprised to know about you? 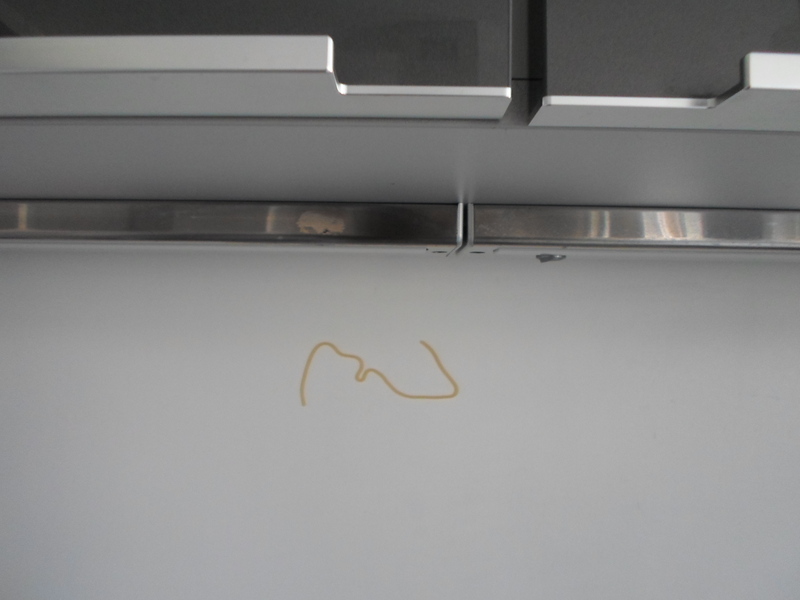 I hated cooking until very, very recently. 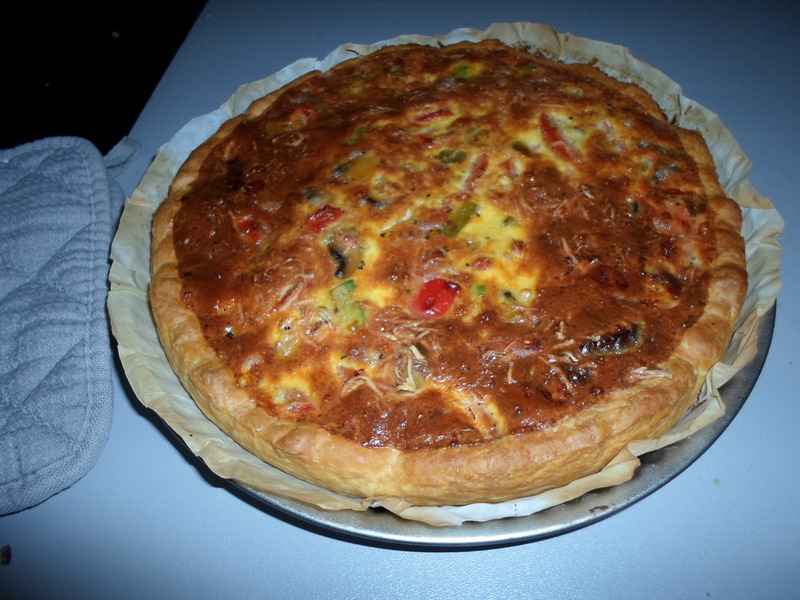 I could not cook anything until I was about 20 years old, and had no interest in being able to cook. I couldn’t cook much more than pasta, and my mum wouldn’t even let me use sharp knives or the gas elements if I was home alone out of fear I would burn the house down! -What are your top three blogs to read? I have always loved PostSecret. I like The Sartorialist for fashion and style and 101COOKBOOKS always has amazing recipes. -Do you listen to podcasts, if so, which ones? I am way too technologically inept for that! -Sleeping in, coffee in bed followed by a long breakfast, spending the day at the beach; swimming and lying in the sun. 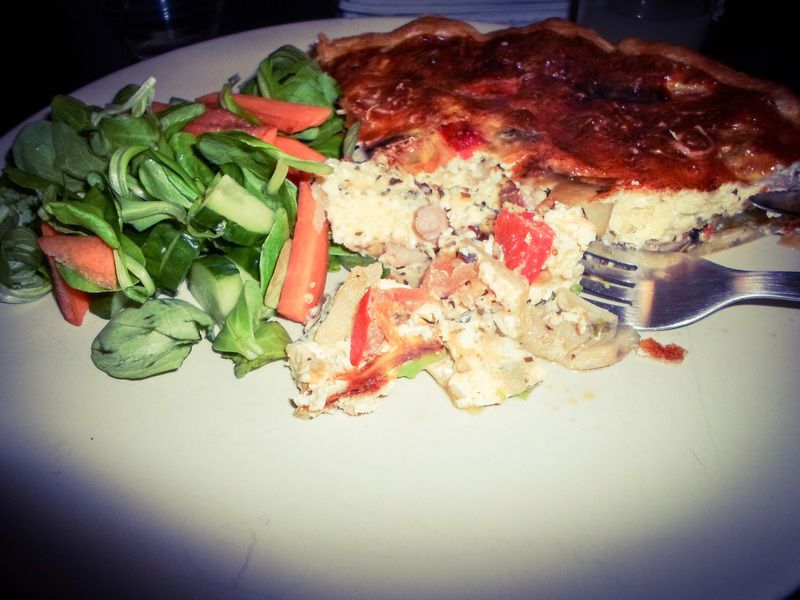 A long Mediterranean dinner is also a must – the simple things! This is a hard one! (Can you tell that I am not good at making decisions?!) I don’t think you can beat an ice cold mojito, it is perfect in basically any situation. I love the sweet and sour combination of the sugar and limes, and the freshness of the mint. Almost Famous, directed by Cameron Crowe; I can quote the entire movie and watch it at least once a month. -How do you keep being inspired to write or photograph? I don’t think it is hard to keep inspired to run my blog, I think it is more a question of finding the time to think and plan for it. I think it definitely takes time to find a balance between writing and my day-job. -If you could live anywhere in the world, where would it be? An island in the tropics or the middle of the Med; I hate winter and living in a continuous summer by the beach is my ideal lifestyle! If you could live in any country, where would it be and why? If you were a flavor of ice cream, what would you be? What is a book that you could read over and over again? Are you spontaneous or move of a planner and organizer? What’s one random fact about yourself? Good luck bloggers, I look forward to reading your answers! It has been a number of weeks since I last updated this blog. Life has been a bit hectic; I found a new apartment to move into and then at the last minute they decided to give it to someone else, so I was a little in limbo for a while and not becoming homeless was my main priority. But all is well now, I have moved into a new place with a lovely view of the river and a nice, big kitchen. 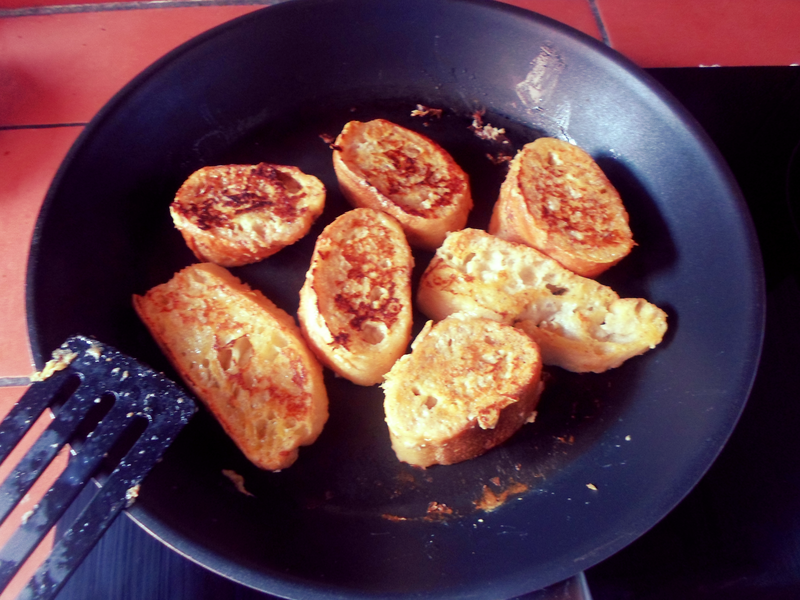 So, in theme of things being lost and forgotten I thought I would make this classic French breakfast; French Toast. You may ask what the connection between French Toast and lost-ness is. Well, let me explain. 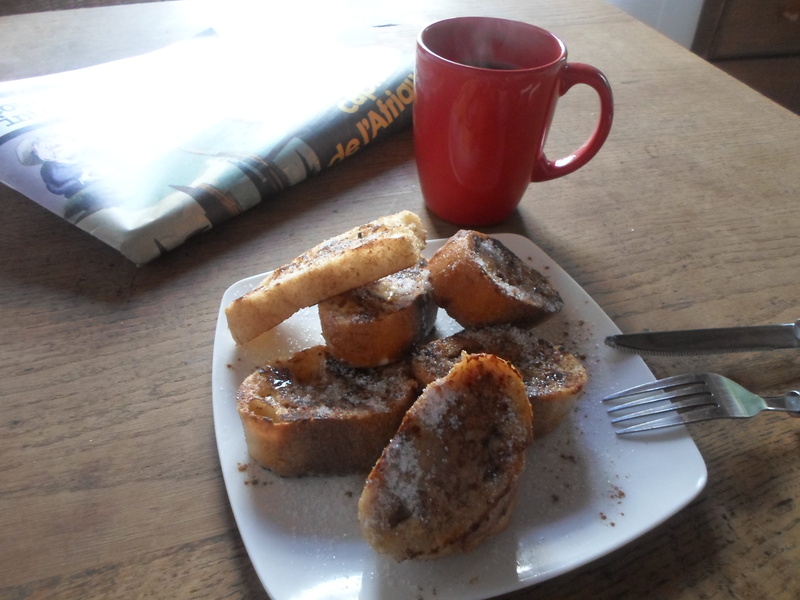 Ironically, if you talk to any French person about French Toast, they will have no idea what you’re talking about. That’s because in France French Toast is not called French Toast, it’s not even just called toast. 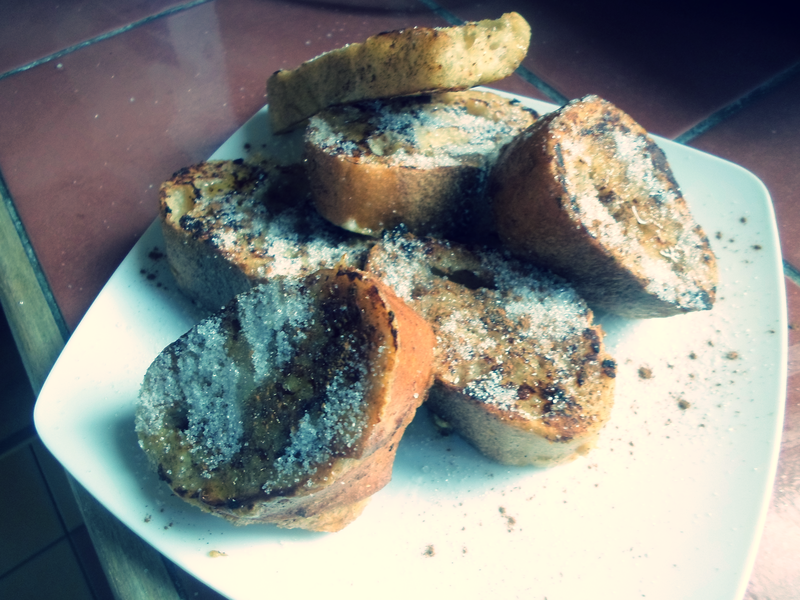 It’s called pain perdu, which translates to lost or wasted bread. While elsewhere in the world we would generally just use a regular loaf of bread to make this dish, in France it is made with baguette- more specifically, baguettes left over from the day (or two) before. So for this recipe you will need a baguette that is at least a day old, two is better. 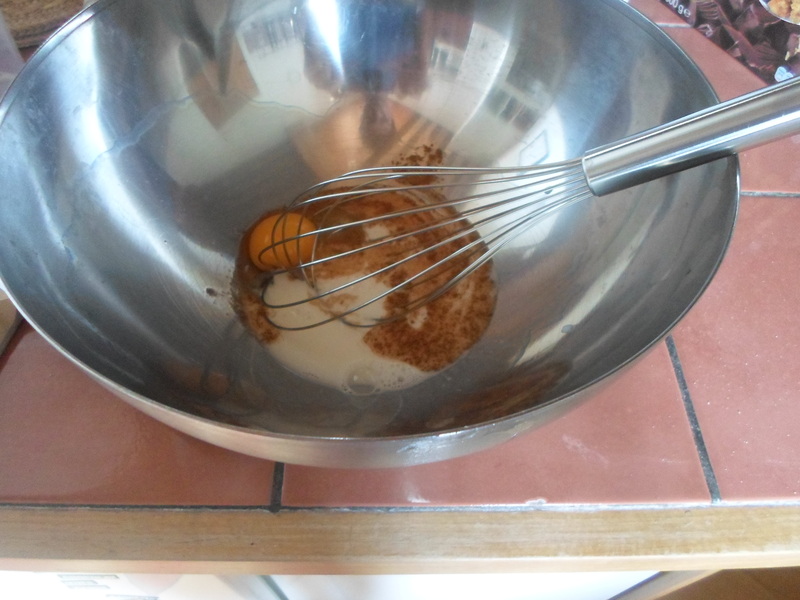 The point of using old bread is that it is not as soft as when freshly baked so it absorbs the eggy milk mixture without going soggy and collapsing. Because I was cooking just for myself I used half a baguette. 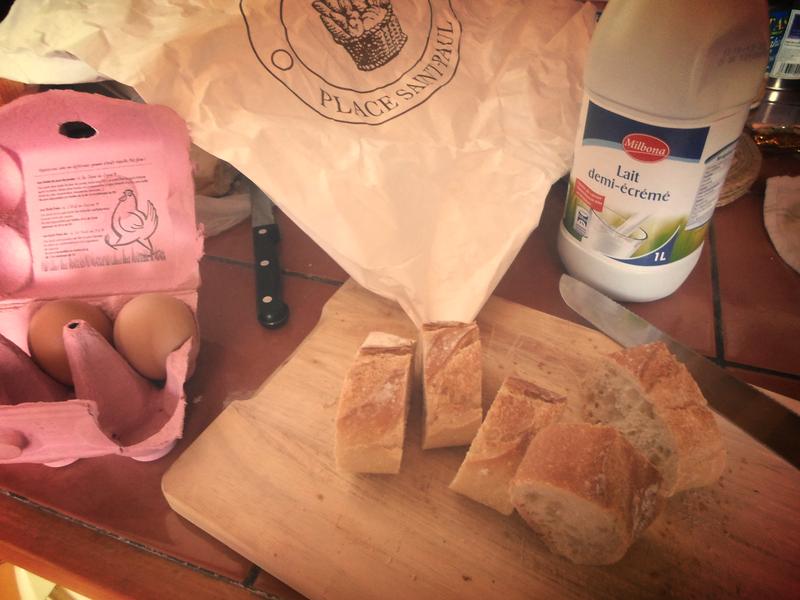 Firstly, cut the baguette into thick slices, then in a bowl mix one egg and half a cup of milk for each half of baguette you’re using. I added a teaspoon of cinnamon and a teaspoon as hot chocolate powder, this is completely optional but gives it a nice flavour. 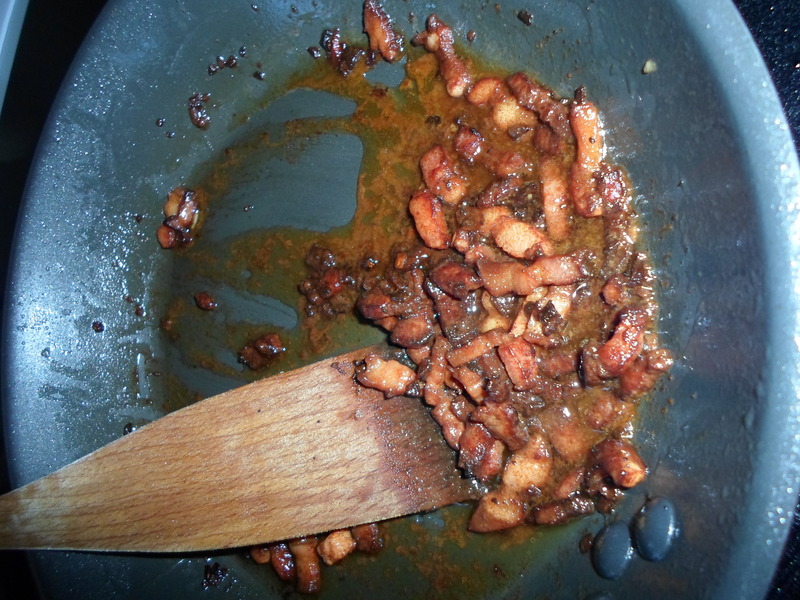 Whisk this all together and then add the chunks of bread, flipping them after about 30 seconds so they absorb the mixture evenly throughout. Melt a knob of butter in a pan and add the pieces of bread. Spoon the remaining mixture that was not absorbed over top of each piece for good measure. After a few minutes the pan will really start to sizzle, check the underside of the bread to see how cooked it is, when it is a nice golden brown or cooked to whatever degree you like flip it over and repeat on the other side. 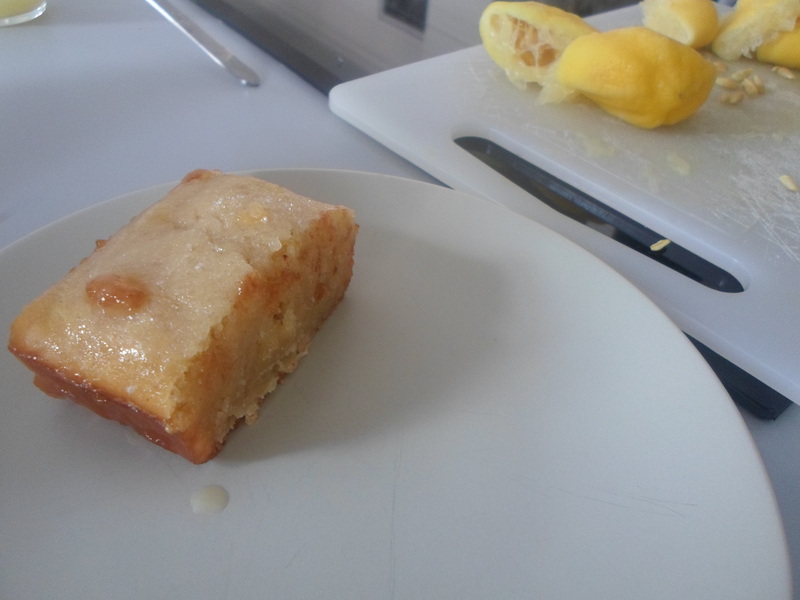 Remove from the pan and leave to cool for a moment, sprinkle with sugar or icing sugar and drizzle with a bit of honey or agave nectar (what I used). 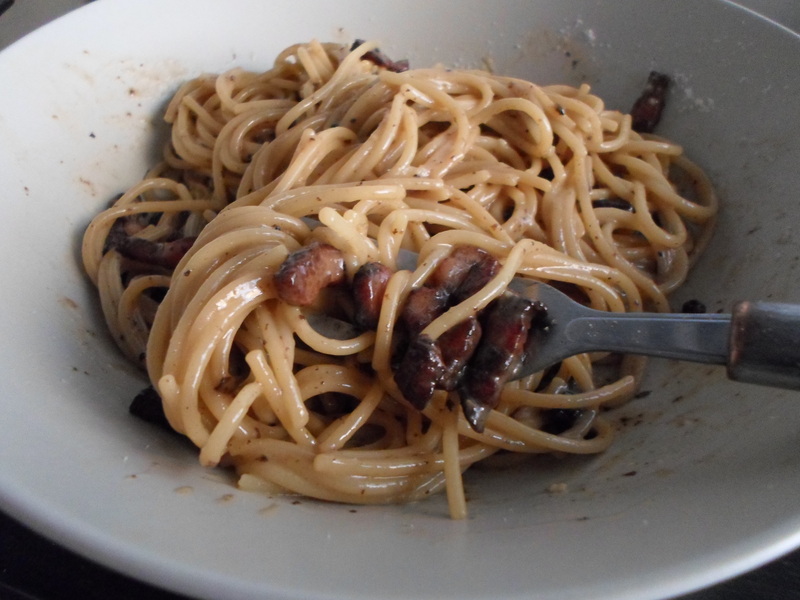 Usually I would eat this meal with bacon but it is extremely difficult to find proper rashers of bacon in France; it basically only comes in the form of lardons. And besides, the idea of eating something so salty as bacon as a breakfast food would make any French person’s stomach turn. Serve hot with a cup (or two) of fresh coffee and a newspaper- the perfect Sunday brunch! 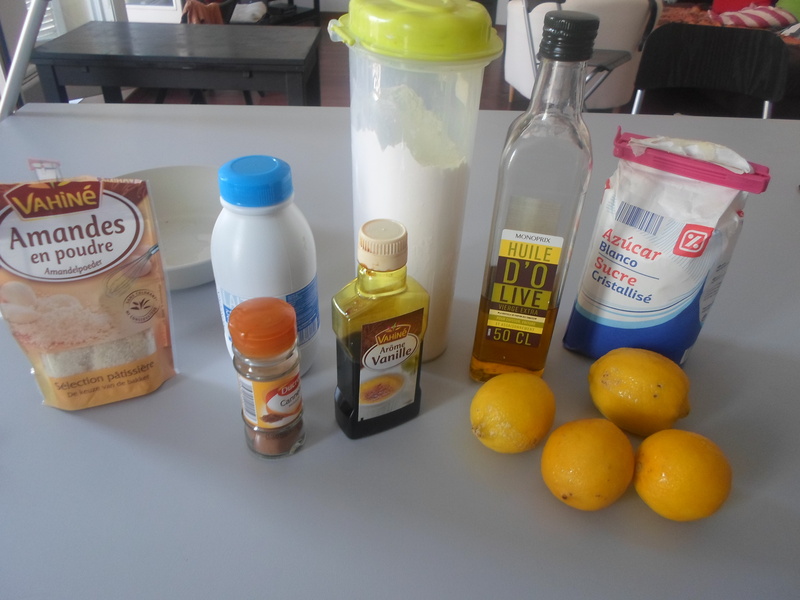 AUTHOR’S NOTE: There is not really anything sweet in this post as the title would suggest. If anything, my recent trip along the coastline of Liguria, in Italy, was completely salty. The Mediterranean Sea, the fresh focaccia bread, the cured meats; essentially it was perfect. Our trip was somewhat spontaneous, aside from the fact that it had kind of been in the works since February, we had planned very little else. All we knew was that my friend was going to be in Florence on this day and I found a cheap ticket to Genoa for the same day, so we knew we would at least be in the same country. 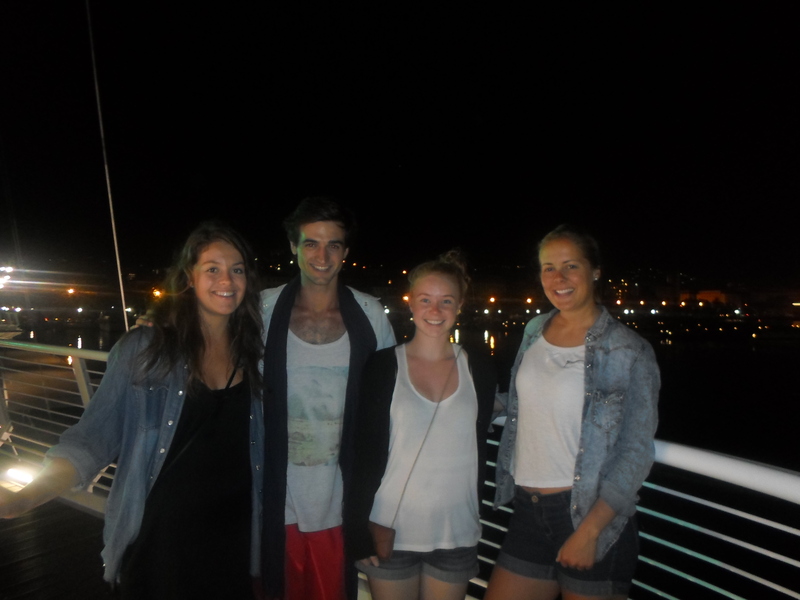 So the day before I was set to leave we Skyped to make a bit more of a plan; we would meet the next day in La Spezia, I would send out some requests on the website CouchSurfing and hope that someone replied and would let us stay with them. My friend had no phone and I would have no internet access until unless I managed to find some McDonald’s wifi or something, so we really had to just hope that the other person would be there when we arrived. So, feeling a little nervous about the whole situation I headed to the station at 6am and headed to Genoa, where I got a train to La Spezia. A train that was meant to take 90 minutes but ended up taking 2 and a half hours, thanks Italian train system, you’re a winner! But that was okay, we found some free wifi and were disappointed to find that no one had replied to our requests, maybe it was because we sent the requests about 18 hours before arriving, oops. Luckily, my friend remembered that she once met this guy who lived nearby, we contacted him and we could stay with him and his family from the next day. We then happened to find two Norwegian backpackers who were in the same situation as us and the four of us managed to find a nice little hotel we could stay at for the night at a very reasonable price. It looked like everything had really fallen into place! The next few days were spent lying in the sun, swimming in the sea (which was at a perfect temperature), eating a lot of amazing food and struggling to communicate with our friend’s family who spoke no/very little English. LA Spezia is the gateway town to Cinque Terre, ‘Five Lands’; a collection of five isolated little towns on the coast, overlooking the sea, full of beautiful old buildings and amazing views. The towns are linked by little paths which you can walk if you have the time and energy, otherwise the train goes past every town pretty regularly. Each town has it’s own unique feel and attraction. 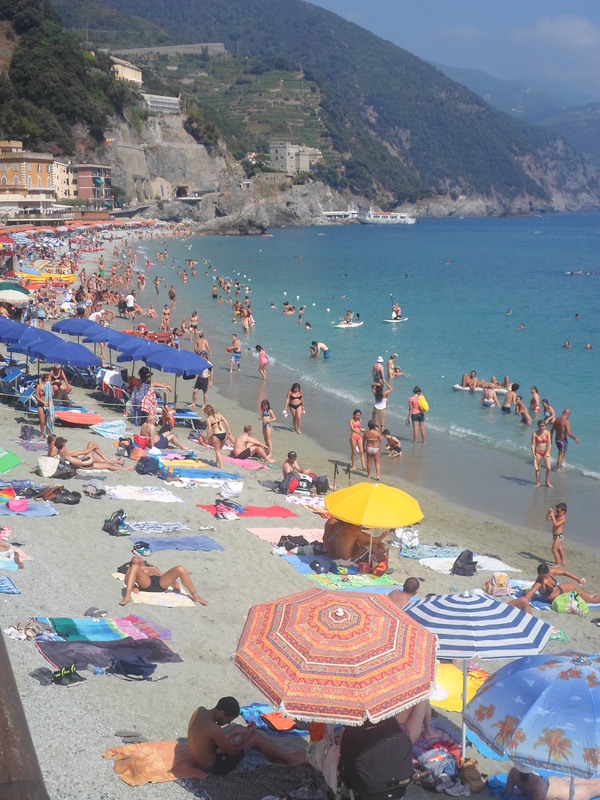 Montorosso is the biggest, the most touristy and has a proper sand beach. Vernazza is know for having a beautiful church that overlooks the water, it also has a collection of nice little boutiques and shops. However, I would recommend climbing across the rocks past the marina area and swimming there, it is less crowded than Montorosso and the water has less limestone in it, so it doesn’t hurt your eyes so much. 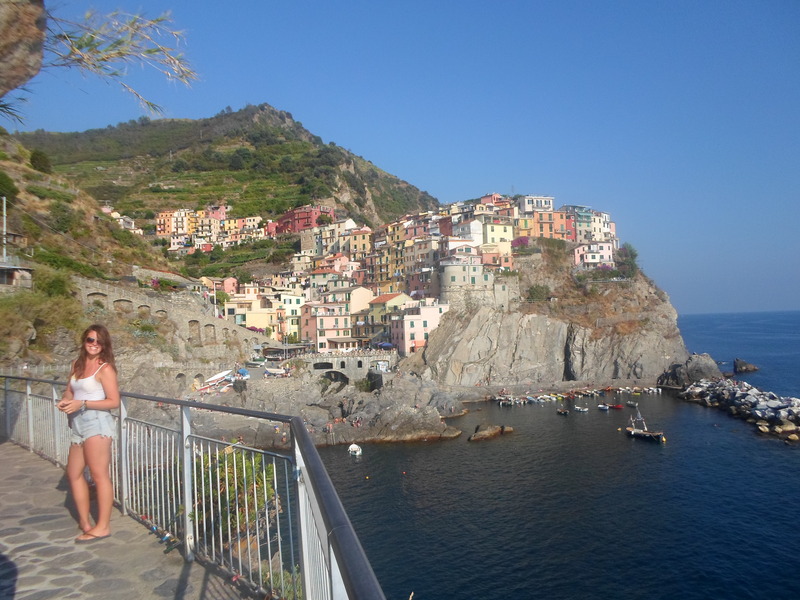 Riomaggiore is full of little pathways so it is the easiest to explore, it is also full of little restaurants and takeaway places specializing in seafood, such as the Mamma Mia! Takeaways which was a personal favorite, mainly based on the name. It is also the starting point for the Via Dell’Amore, or the Road of Lovers, the shortest, easiest and apparently nicest walk. Unfortunately it was closed so we could only look at the walk. This path joins Riomaggiore with Manarola. This was the last town we went to, after a five minute stop at Corniglia, so we arrived as the sun was beginning to set. The sunlight reflecting off the water was amazing and I would say this was probably the most beautiful of the five towns. 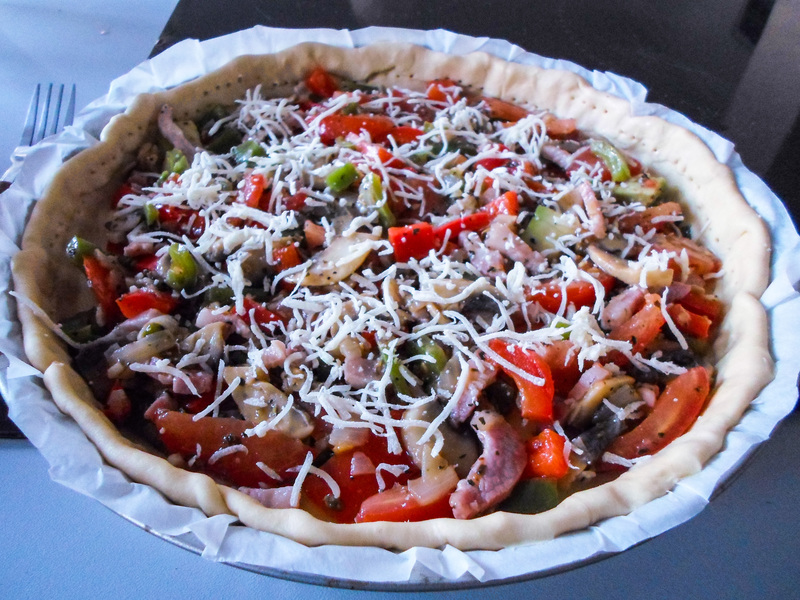 Liguria is the birthplace of pesto and focaccia bread, so obviously the food is amazing, and we were staying with an Italian family so everything we ate was authentic! We had a Sunday afternoon picnic in the sunshine, at a 300 year old house with a 90 year old grandfather up in a small mountain village but the absolute highlight was discovering panigacci. 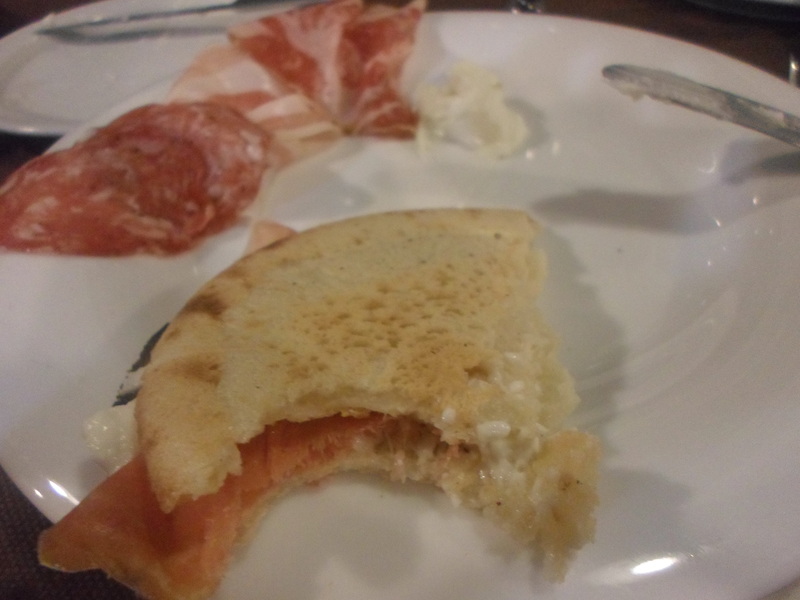 Panigacci is a dish that is traditional to LA Spezia, you will find it nowhere else in Italy. 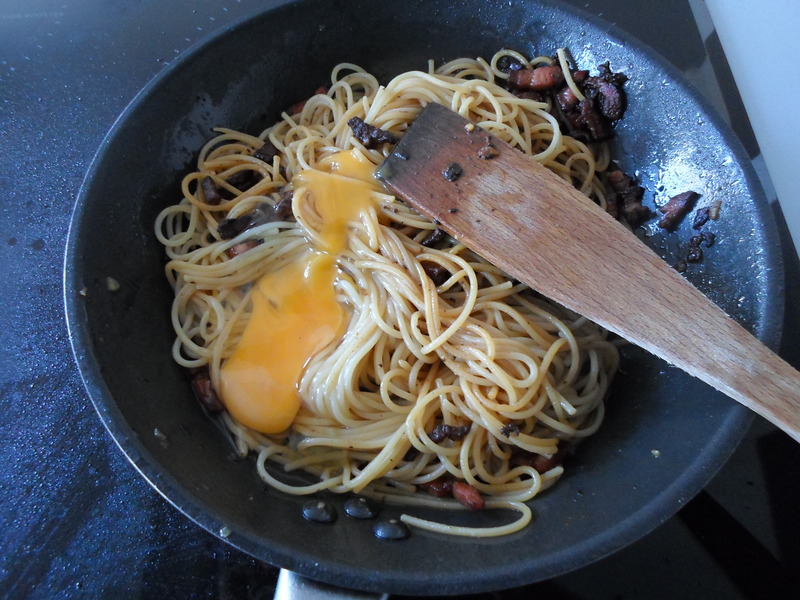 It is essentially a pancake but it can also be boiled at eaten like any other kind of pasta. When I first saw it I thought that it looked pretty easy to make and I mentally added it to my list of things to attempt but I was then warned that not only is the batter extremely difficult to get right, the cooking process involves heating terracotta plates in a fire and then layering the mixture in between them all, and knowing how long to leave them without burning it, so I decided to just enjoy it this once and not make it ever. 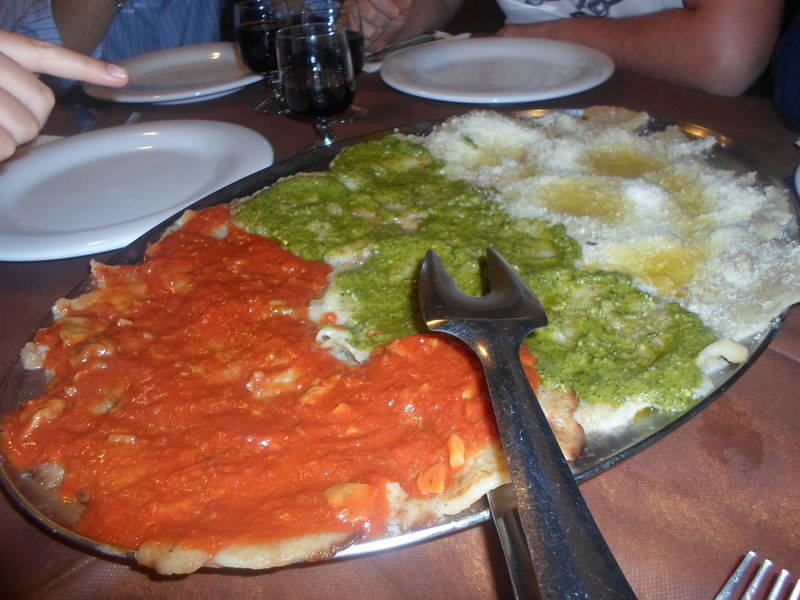 It was truly a versatile dish, we ate a three course meal with each dish containing panigacci. First we had it boiled and served with a variety of sauces, then the crispy pancake version with cheese and cured meats and even as dessert! 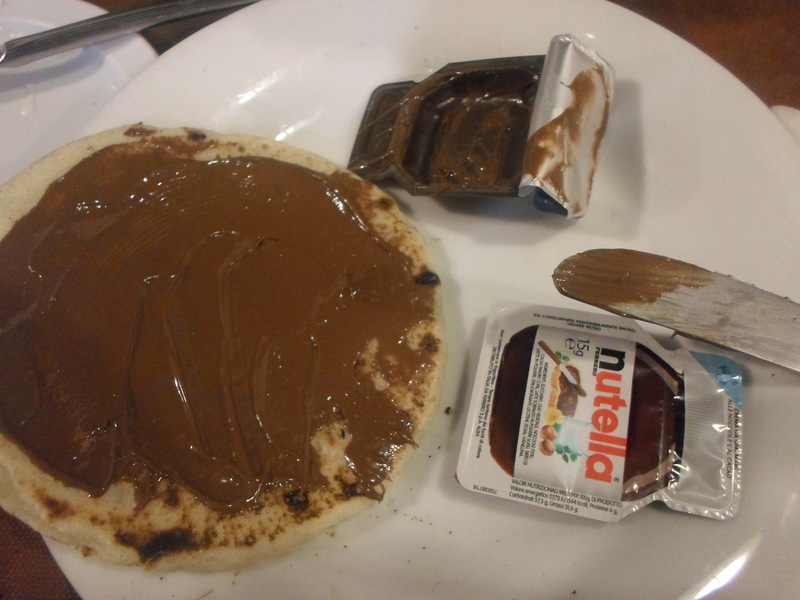 The crunchy pancakes served with nutella was delicious! 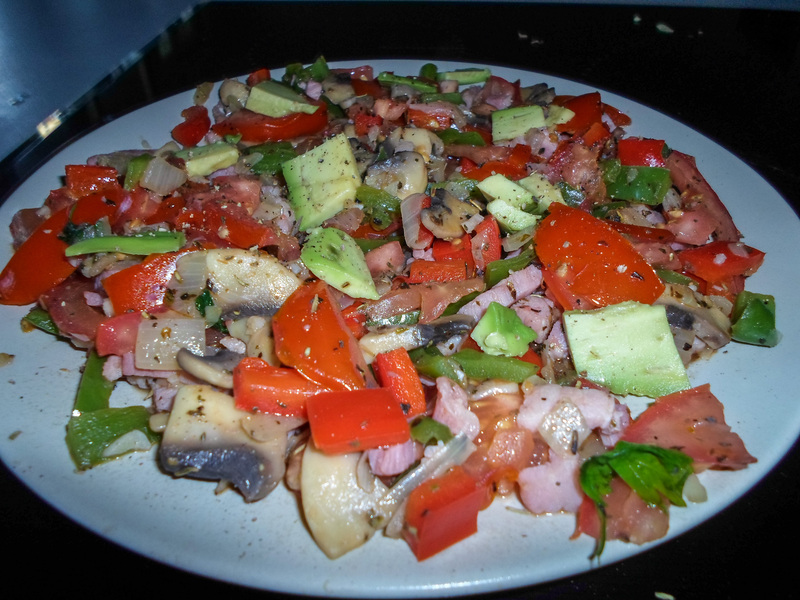 Such deliciousness topped off with a nice glass of limonata, perfection! If anyone is brave enough to attempt making panigacci I would love to hear about it!